If you are a mother or have a mother (that’s pretty much everyone! 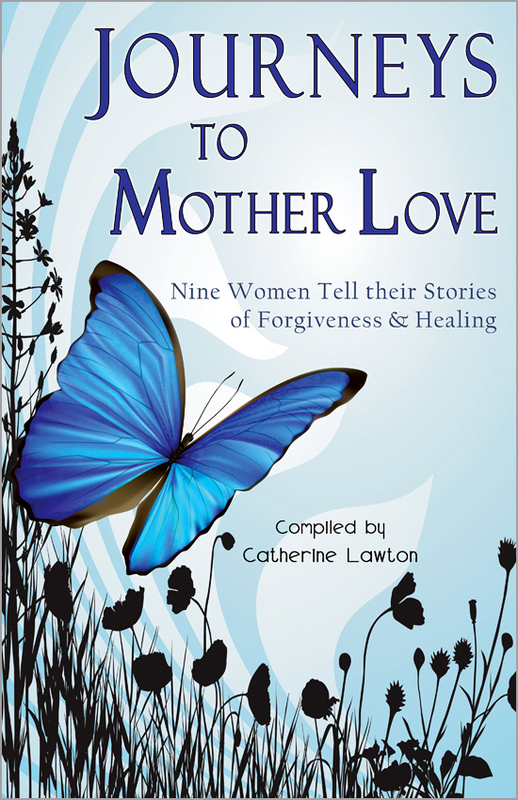 ), you probably relate to the stories in Journeys to Mother Love. You may have your own story to tell of relational healing. Or you may simply have a thought to share about motherhood. We would like to hear it. And what you share may encourage others and give them a lift. That’s the purpose of this page. What does “mother love” mean to you? When did you feel most loved by your mother? If you have read Journeys to Mother Love, did you relate to any of the stories? Do you sometimes see your mother in yourself? Explain. Share a special memory from childhood, perhaps something you and your mother enjoyed doing together. What legacy did your mother leave to you for which you are thankful? If your birth mother wasn’t available to you for any reason, who gave you the mother love you needed? Do you have any advice for young mothers (about showing mother love to their children)? Enter your answers to one (or more) of these questions in the “Leave a Reply” box at the bottom of this page, and they will appear below (as long as it isn’t spam or contain profanity, etc.) and may be edited (for spelling or punctuation). I feel loved when I am cared for. It must be one of my love languages. When my mom would serve freshly cut, ready-to-eat fruit while doing my homework, that was one way I felt loved. Well, I will never LOOK like my mom. But through a series of fortunate events, I know that she IS my mom! I am reminded of her when I go shopping. The questions she asked me when I was young run through my head: Are you really going to wear that? Do you really need it? Sometimes it takes a while to make a decision! I loved doing crafty things. During the holidays my mom would plan something for us to do together. I remember poking whole cloves into oranges to hang, making home-made Christmas tree ornaments, and collecting pine cones and other outdoor goodies for making a wreath. I figure that God’s first commandment to us all is also the best one for a mother: love your children! And love your husband as #1 in your life, even above your children. The rest will fall into place. When you were little I read a book, Growing Up is a Family Affair. It’s true. In many ways we are “growing up” and maturing right along with our children. Accepting my mother as she is has allowed me to love my neighbor as myself. My mother is so lovely and she doesn’t even realize it. Instead she hides in her purchases and hobby of geneology. My perspective! She has nine children and many grandchildren. Recently after reading the book, Journey’s to Mother Love, I vowed to be friends with my mother rather than be the daughter looking in on her life. I am taking action to participate in her life. She has accepted my invitation to meet for lunch or an activity. This is new so I am honoring the process and asking for guidance. Rather than have pity on my mother I’d rather accept her as she is and with respect, develop a relationship with a new attitude. Our first date was when she invited me to a women’s group that she had been invited to by her banker. The women there meet once a month and inspire each other to live out their dreams. My prayer is His will for her and that she accepts guidance. I am so thrilled my mother is connecting with women and moving forward after grieving her husbands death of more than a year ago. My mother has had a rough life and I see her taking steps to overcome the pain she has been carrying for too long. Thank you ladies for sharing your stories. I have much hope in spending more time with my mother. She always has an excuse to all of her kids why we can’t come visit. It has caused us much heartache yet we all support each other in encouraging one another to accept her wishes. I think she hides in her hoarding and I am so hopeful that she will come alive in who she really is and unchain her heart from the lies and the hurts. She is so lovely and sweet. I am inspired by your stories and have a new perspective for building a relationship with my mother. Thank you! I’ve been very blessed to experience the love of and encouragement from a wonderful mother! She and I have been best of friends for many years. I’ve watched her grow from a timid, shy woman to a older woman with inner strength and wisdom. Her faith — and some intimidating, somewhat frightening experiences — moved her from lack of self-esteem to greater confidence. When my father tried to discourage me from attending college because “you’re just a woman and will just get married and have babies anyway,” my mother (and her mother) reminded me, “You can do and be whatever you want — go to college, learn and then apply that knowledge and experience.” Mom let the opportunity of college go by the wayside even though she had a scholarship. She didn’t marry immediately, meeting and marrying my father three years after high school, but I know that’s one of her regrets (not attending college), therefore, she encouraged me to follow that dream, and to work hard before, during and after. Mom gives me a legacy not only of encouragement, but also of empathy and faith. Although a woman of inner strength, she knows what it’s like to be financially poor and uncertain, and she shares with others: food to the food bank, financial gifts through child sponsorship, and clothing to the thrift store. Her faith in God has sustained her through financial struggles of her own as well as as other life uncertainties, and that faith has been passed on to me. I am thankful for my mother. As Thanksgiving nears and plans are made to share the holiday with my parents, I intend to once again thank her for her love, her encouragement, her faith, and her confidence, character traits I may not always emmulate, but want to… and will certainly be more intentional about doing. She and I may not always agree on things, but the bond we share — and her legacy — I am truly thankful for! My mother gave me the gift of a love for books, a gift she also gave both my sisters. As long as I can remember, reading has been an important part of my life. My early memories of my mother are of her reading a magazine or book. I grew up to become a reading teacher, helping many children to learn to love to read.